Cardiovascular scientists from the KU Leuven Laboratory for Thrombosis Research (Campus Kulak Kortrijk) have shown that the ADAMTS13 enzyme can dissolve blood clots that block the blood flow to the brain. Their discovery may open up new possibilities for the treatment of stroke patients. Blood has a seemingly impossible job: It must flow continuously and smoothly throughout your body for an entire lifetime, but quickly shut off to prevent spills when you get a cut or injury. Blood clots are healthy and lifesaving when they stop bleeding. But they can also form when they aren't needed and cause a heart attack, stroke, or other serious medical problems. For proper functioning of our brain, a continuous blood supply to the brain is essential. When a blood clot blocks an artery that supplies blood to the brain, an ischemic stroke occurs. This type of stroke often causes permanent brain damage. Ischemic strokes are among the leading causes of death and permanent disability in Western society. Only one treatment is currently available to dissolve blood clots in the brain: administering the substance Tissue plasminogen activator in time. Tissue plasminogen activator (abbreviated tPA or PLAT) is a protein involved in the breakdown of blood clots. It is a serine protease found on endothelial cells, the cells that line the blood vessels. As an enzyme, it catalyzes the conversion of plasminogen to plasmin, the major enzyme responsible for clot breakdown. Because it works on the clotting system, tPA (such as alteplase, reteplase, and tenecteplase) is used in clinical medicine to treat embolic or thrombotic stroke. Unfortunately, this treatment only works in a fairly limited number of patients. Professor Simon De Meyer and Frederik Denorme from the KU Leuven Laboratory for Thrombosis Research have now discovered that stroke-causing blood clots can be significantly different in terms of composition, which explains why the t-PA doesn’t always work. The ADAMTS13 gene provides instructions for making an enzyme that is involved in blood clotting. After an injury, clots normally protect the body by sealing off damaged blood vessels and preventing further blood loss. May be in the future scientist will be finding any way to modulate the activity of this gene, so in this way a desired results would be attained. Given the current limitations in the treatment of stroke patients, new insights into breaking down blood clots are particularly valuable. 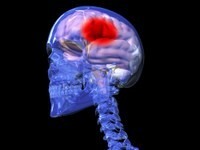 Further research will have to show whether the study can help improve therapies for patients who’ve had ischemic stroke. Next articleEnzima e sapo zbuluar ndihmon në shkrirjen e koagulit të gjakut tek pacientët me mpiksje gjaku në tru.